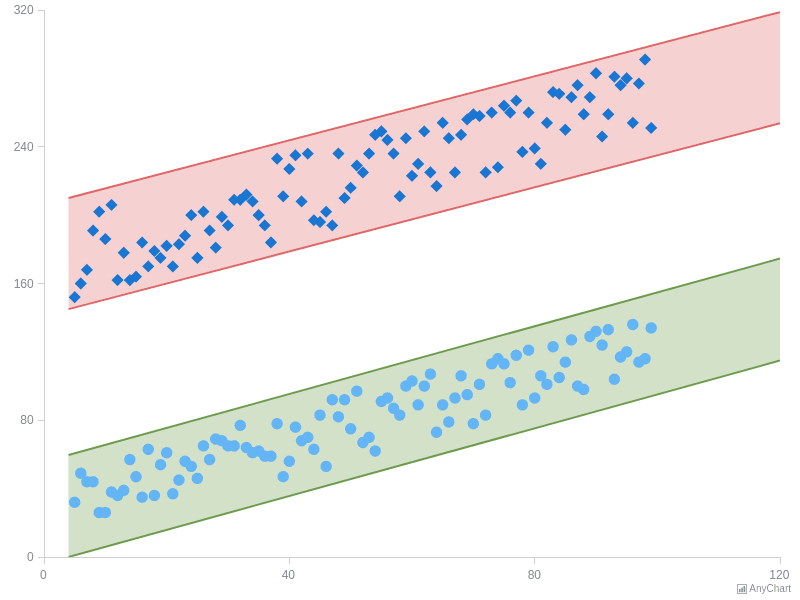 Annotated Scatter Chart with IntervalA Scatter Chart with a big amount of points with an adjustable annotation of interval type. Annotated Scatter Chart with Trend ChannelA Scatter Chart with two marker series demonstrates how annotations of trend type can be used. Both trends can be configured with clicking and dragging the boundaries. 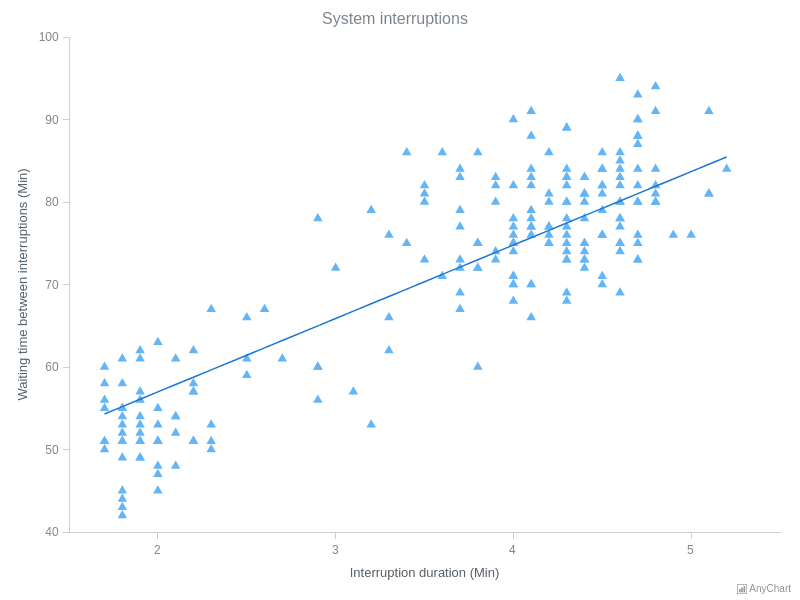 Combination of Line and Marker ChartsThis scatter chart visualize the distribution of periods in time when system was interrupted contains two series: the first one is line series and it represents the average (mean) values and the markers series shows shows the distribution itself. 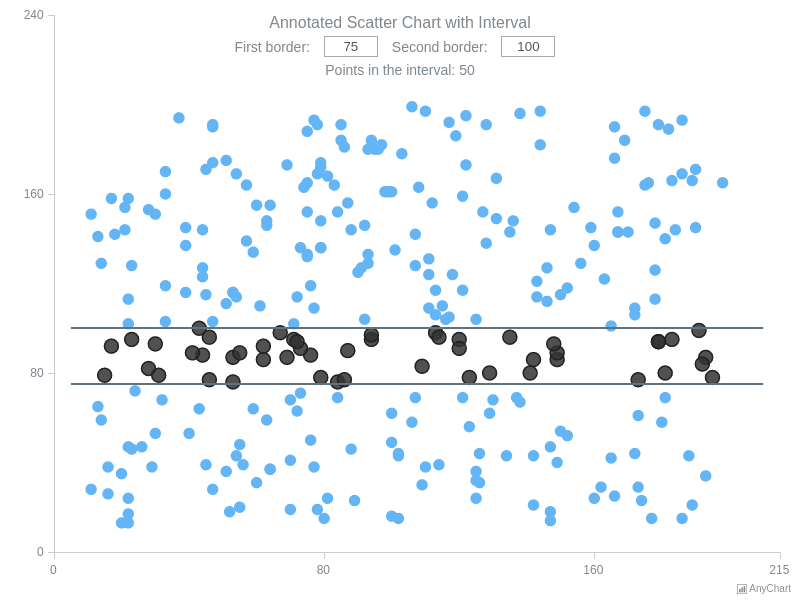 Scatter Chart with Axis RangesThis scatter chart contains two line series. Horizontal scale was replaced with dateTime scale. Axis markers on the chart's plot provide additional information for the graph. Chart's legend is interactive and controles chart's series. 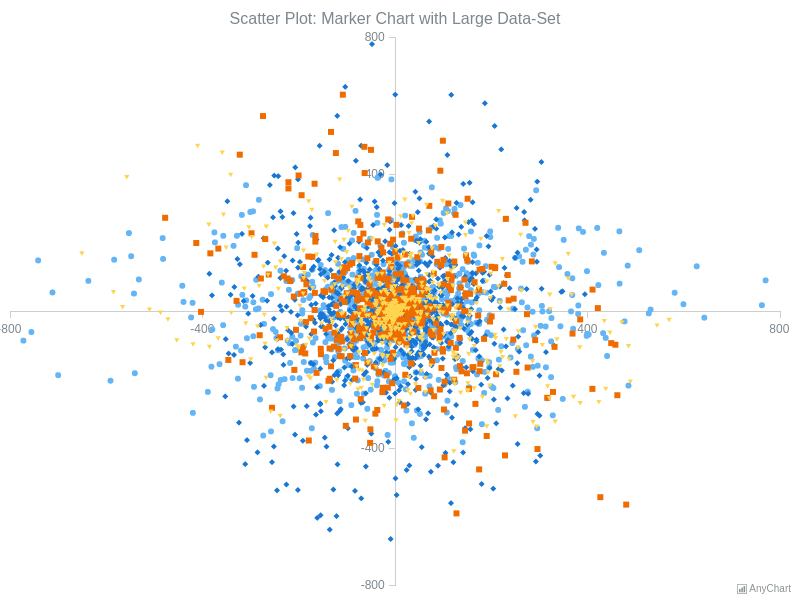 Scatter Chart with Large Data SetA Scatter Chart with four series with 3000 points in total demonstrating mathematical distribution. 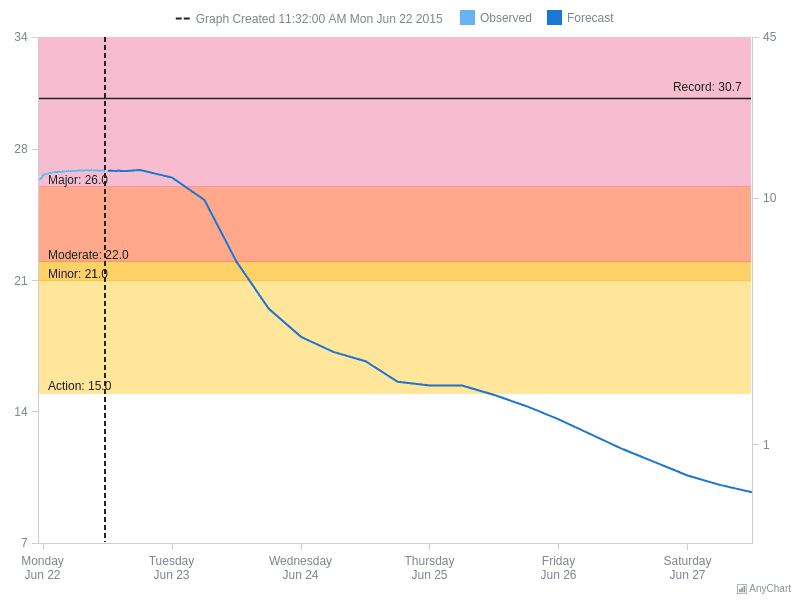 This Chart is a good example of AnyChart working with a large amount of data.